Dr. James Vevaina got his medical degree from Grant Medical College and obtained two residencies, the first one was at Mount Sinai School of Medicine at Elmhurst and the second one at Mount Sinai Medical Center of Florida. Dr. Vevaina has more than 20 years of practice, he is board certified in pulmonary disease and internal medicine. 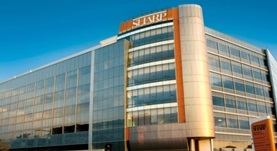 Dr. Vevaina is affiliated with Sharp Memorial Hospital.